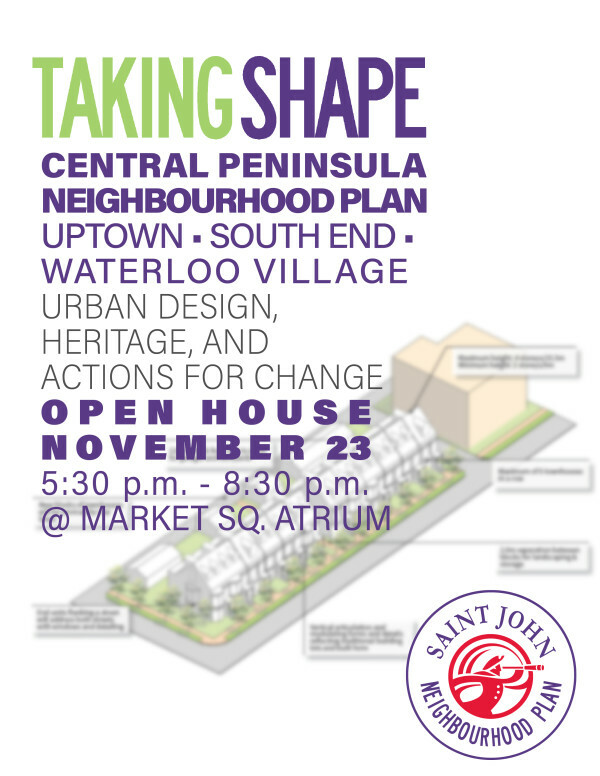 A friendly reminder that the Central Pensinsula Neighbourhood Plan Open House will be occurring tomorrow evening. We'll have lots of information and be sharing key components of the plan, including but not limited to an urban design approach, recommendations on changes to the heritage by-law, and actions for neighbourhood change/revitalization. Whether you live, work, or just have an interest in Saint John's core-- all are welcome to attend.